If you are considering a private jet to Oakland, Charter Flight Group has exactly what you need. With over 30 years experience in the private jet charter business, we understand what busy travelers want and it is always provided. Charter Flight Group knows that you want service and safety above all else. This is delivered from the time you book your private jet charter with one of our flight consultants to the time you step onto the tarmac at your destination. Naturally, Charter Flight Group ensures the safety of its jets and client’s by means of maintaining all private charter jets in pristine condition and with the help of ARG/US and Wyvern, that standard is maintained. It does not matter if you are flying one-way, booking an on-demand flight, or traveling to destinations domestic or international…CFG treats you with the respect and courtesy deserved. Indeed, the FAA likes CFG Private aircraft for we make the job of their inspectors easier. We only hire the best flight and ground crews possible. Every member of our flight staff is carefully screened so that our clients only take flight with the best. Anyone not meeting the high standards of Charter Flight Group is left to the competition. This protects our client’s interests and ours for it does not matter if you select a small turboprop aircraft such as the Merlin III, a jumbo jet like the Dornier 328, or anything in between. Each private jet is maintained at the same high standards because our professionals in the air and on the ground take great pride in their planes. Of course, when you charter your private jet or turboprop into Oakland, there may be a few things you need to know. Most jet flights land at Oakland International which provides a spectacular view of San Francisco Bay on the south side of Oakland with easy access to I-880. Of course, on landing your private charter jet flight at Oakland International, there is the standard shuttle service, cabs, and rental cars. The airport also has no shortage of amenities for executives such as corporate parking and limo’s.And if landing your private charter jet flight at the busy Oakland International is not to your taste, be sure to ask your private charter jet flight consultant about landing at Hayward Executive, just a short distance to the south of Oakland International. Although this airport has very strict zoning requirements related to noise abatement, if your private charter is a small to medium aircraft, your flight consultant will see if arrangements may be made. 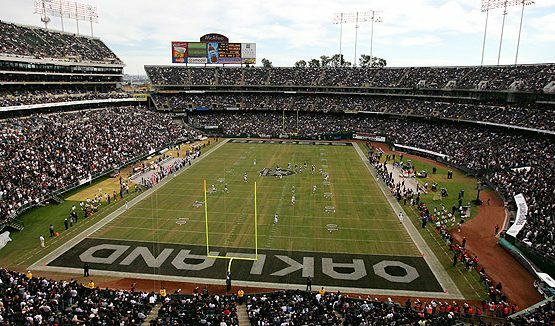 Oakland of course is home to major league football team the Raiders and MLB team the A’s. But there is far more to Oakland than sports, although for some, that is quite enough. Many private aircraft enter Oakland just to take in a game. But if you are traveling to Oakland for pleasure, it is good to know that the city offers much in the way of sophisticated pleasures such as decadent spas, lush parks, gardens, and golf courses, museums and art galleries, and numerous historic landmarks. However, one thing that should not be missed is JC Cellars. This winery is an excellent example of why California has been making inroads in the wine industry in the last few decades. Finally, no matter what season your private jet charter flight arrives in Oakland, there is sure to be some kind of festival to attend.As for business interests, there are plenty. Oakland is a port city and as such employs over 200K workers in this industry alone. In addition, Ask.com, Clorox, and Kaiser Permanente make Oakland home along with numerous green startup’s that have been flourishing in recent years. 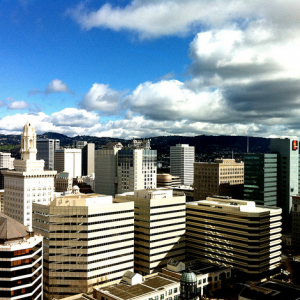 Why Choose Charter Flight Group For your Private Jet to Oakland? As mentioned earlier, Charter Flight Group places a premium on service and safety. We ensure that every private luxury aircraft exceeds the most rigorous inspections before it is cleared for service. Finally, every member of our support staff, from the flight consultants who book your private charter jet to the secretaries who process the paperwork, understands how important you are. You will see clearly the difference this corporate attitude makes when you book your flight.